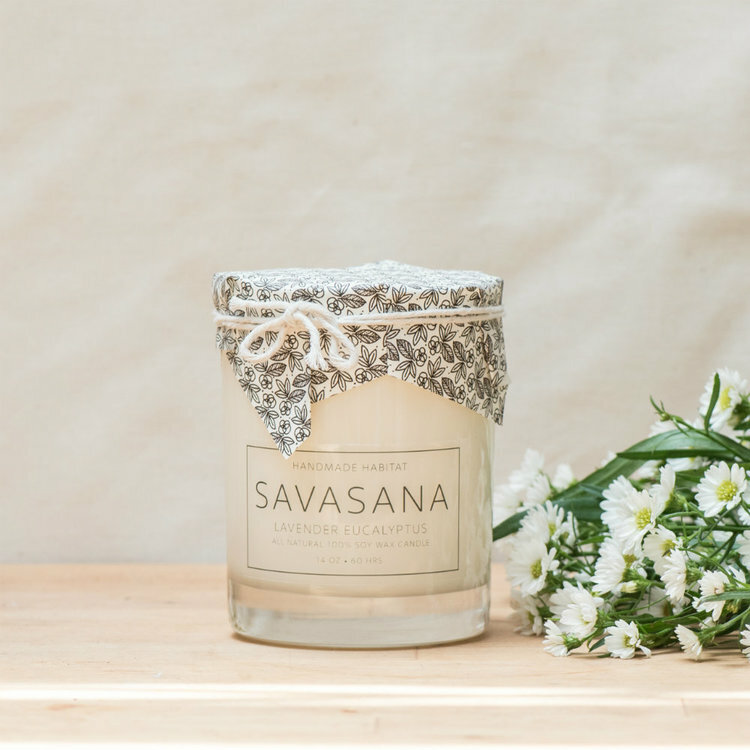 Savasana is a calming blend of lavender and eucalyptus that calms the soul, releases tension and even soothes headaches. This Yogi candle collection contains three candle scents, each paired with a different yoga pose to enhance your practice. The burn of these double-wicked candle vessels has a meditative quality making a perfect yoga or meditation companion. 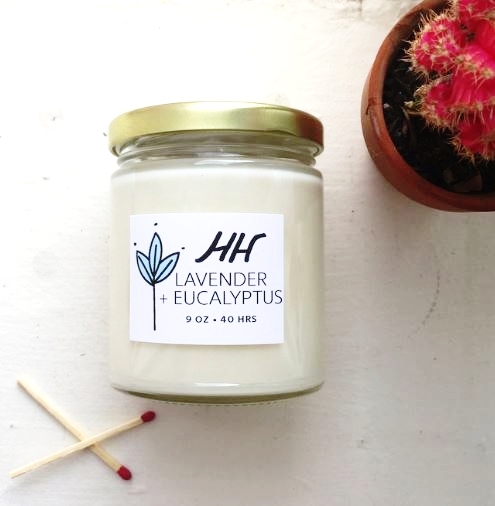 Handmade Habitat is an all natural soy candle and beauty goods DC based company for slow, mindful living. 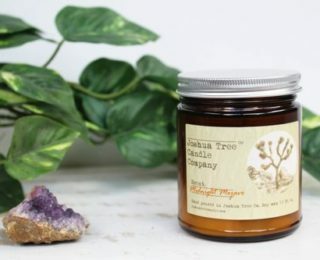 They are inspired by nature and rooted in mindfulness and the work is consciously hand crafted to be healthy for the body, home and Mother Earth. 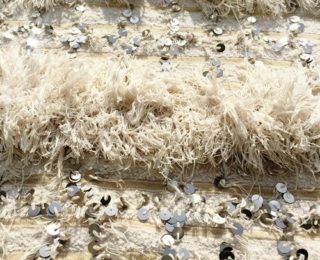 What makes Handmade Habitat soy candles so special? 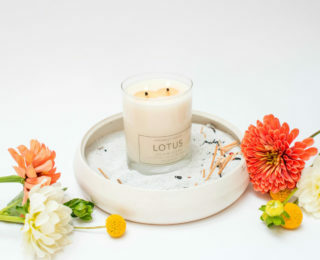 Handmade Habitat candles are made with 100% soy wax, scented with essential oils and all natural fragrance oils and embedded with a braided cotton + recycled paper wick. 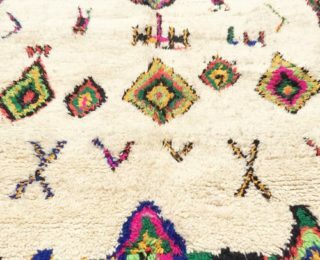 Looking to add a bit of Moroccan boho decor to your home?? 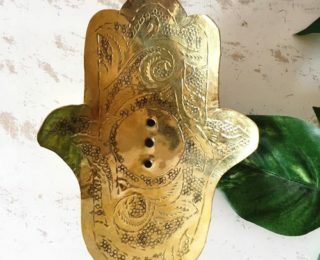 Well this Handcrafted solid brass dish is perfect for holding jewelry, paper clips or in the bathroom as soap dishes. In all faiths it is a protective sign. 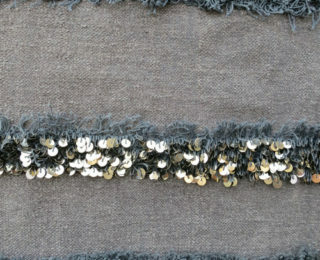 It brings its owner happiness, luck, health, and good fortune. The hamsa hand has a wide variety of different spellings which includes hamesh, hamsa, chamsa, and khamsa. The Hand of Fatima was often hung over the front door and deflects and evil that may come into the house. 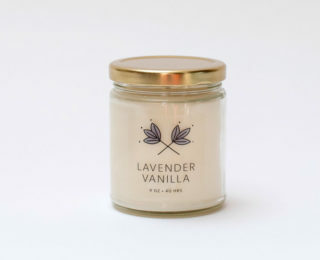 This lavender and vanilla is a softer, sweeter take on the classic lavender. 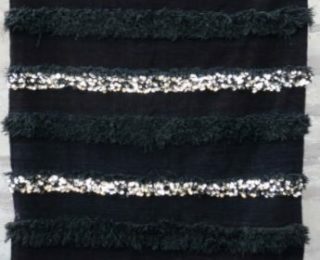 It is known to ease tension and help you breathe a little easier. 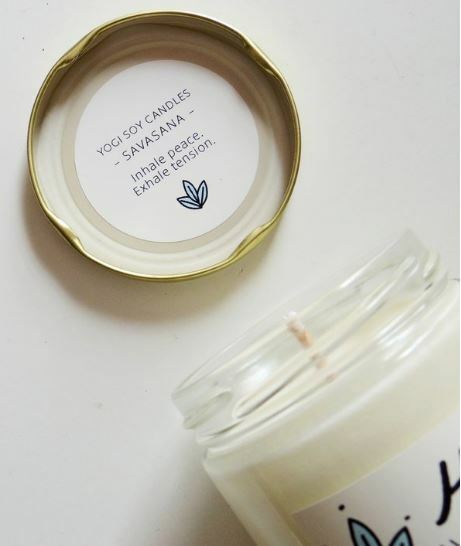 This candle is part of the Yogi Candle Line - each scent is paired with a favorite yoga pose to enhance your practice and meditation. 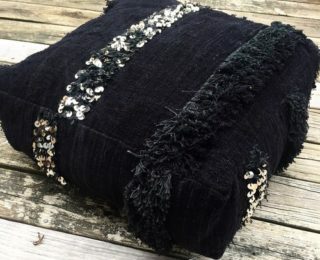 A true conversation piece that will add a special pop of bohemian chic to any outfit. 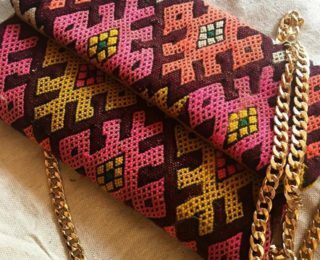 This one-of-a-kind design guarantees no one else will have a bag like yours Place of Origin: Co-crafted in Morocco & Washington DC.